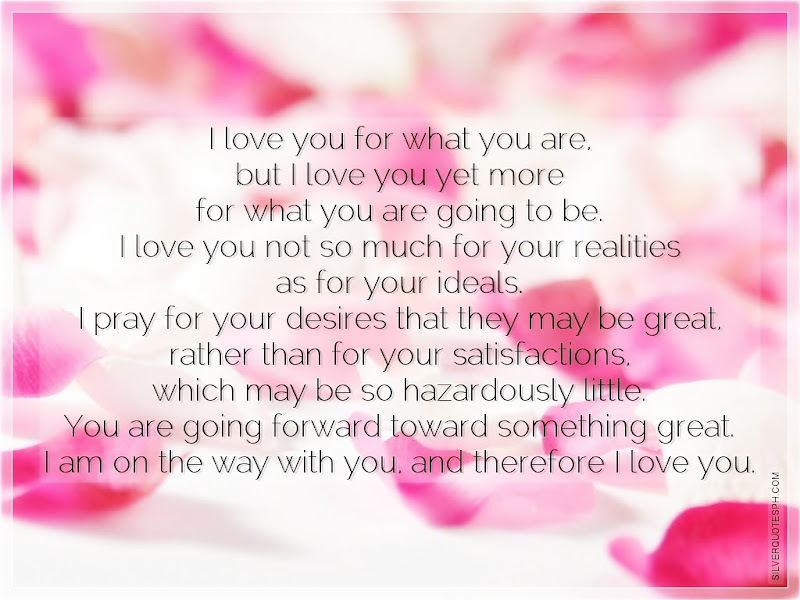 I love you for what you are, but I love you yet more for what you are going to be. I love you not so much for your realities as for your ideals. I pray for your desires that they may be great, rather than for your satisfactions, which may be so hazardously little. You are going forward toward something great. I am on the way with you, and therefore I love you.